Why is laser eye surgery so successful? 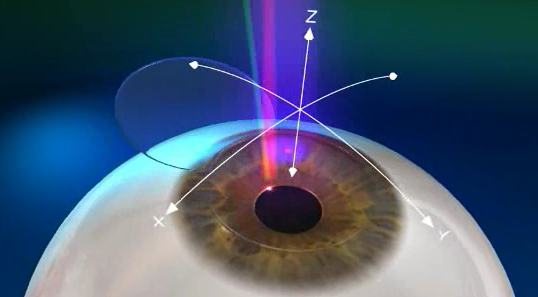 Within the last ten years, laser eye surgery has become more accurate, more efficient and more successful. This extraordinary rise in success rates has been contributed to a number of factors. Arguably, one of the significant ones is the development of iris recognition and tracking technologies. How does Iris Recognition and Tracking Help Eye Surgery? Wind the clock back to before 2004 and eye surgery was often partially successful. Often, the patient would complain of blurry vision or seeing floaters after a procedure. In part, this was due to the fact that lasers of the time had to be fired for longer to correct vision problems. The other problem was that we were unable to map a person’s eye. In 2004 this all changed. It had long been realised that no two irises were the same. They are as individual to you as fingerprints. Your left iris pattern has slightly different traits to your right iris pattern. Subsequently, it is possible to determine which eye is which. Using this as a premise, a company called Bausch and Lomb developed an Iris mapping system. This system laid the foundation to recognise irises individually and to track eye movements. Once an iris could be mapped and recognised, a world of possibilities opened. Using light waves to map an eye made optical aberrations visible. This was significant in improving success rates. It was also noticed that the iris moves when a patient was horizontal. It is believed that this movement affected success rates. New software was quickly developed to track eye movements. This led to the image of the iris to be superimposed over the eye. This gave eye surgeons the ability to target the eye more accurately and make more accurate corrections to vision. In fact, for the first time eye surgeons were able to accurately target parts of the iris that needed treatment. This also meant the laser could now be fired for less time. When the technology was first introduced the laser was fired for around 20 seconds. Previously, a laser was fired for one minute. We use state of the art eye tracking technology. We have specialist systems based around the Zyoptix system which made iris recognition and tracking possible in 2004. The systems have come on since then, and we have ensured our systems are always at the cutting edge of eye tracking technology. As well as ensuring eye surgery success, our systems also offer a safeguard against the wrong eye undergoing the procedure. This is due to the system only becoming operable if it recognises your eye from the iris pattern. If you would like to find out more about the range of vision correction treatments and the technology we use at Advanced Vision Care, then why not call AVC TODAY on 0800 652 4878 and request your free information pack or book your consultation to find out how we can help you.